1.0.1 What is Glycemic Index (GI)? 1.2.1 How to make Carrot Face Mask? Carrots are called Gajar in Hindi. Carrot is one of those vegetables that are rich in various vitamins and minerals. It is rich in beta-carotene which is converted into Vitamin A that is good for overall health, especially for eyes. Carrots are the richest sources of Vitamin A, Vitamin B6, Potassium, and Antioxidants. 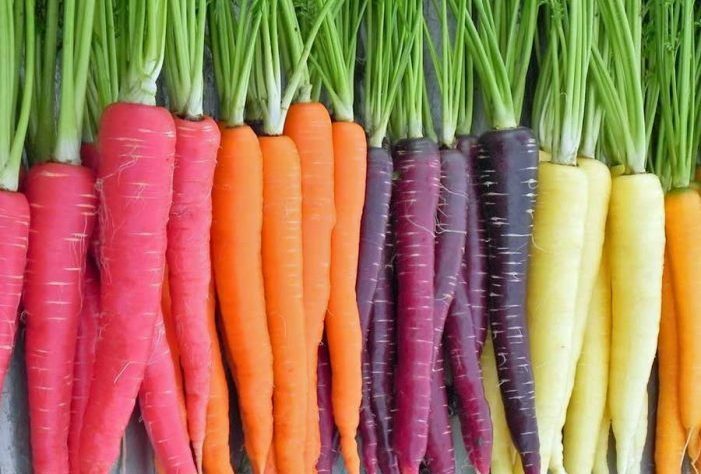 There are different colored carrots found such as Purple, Yellow, white, and orange. Apart from Vitamins and Minerals, carrots do have little fat and protein as well. It has carbohydrate too. Their raw form’s glycemic index is low but when cooked their GI increases. Moreover, since they contain sugar, people with diabetes are advised not to have carrot juice in plenty. People with diabetes should avoid eating cooked carrots especially because the GI increases after they are cooked. But, it can be taken in small amounts when blood glucose level is on a bit lower side because it has Antioxidants and Phytochemicals which help regulate blood sugar. Since the raw carrot’s GI is low; it doesn’t increase sugar levels quickly. Generally, Diabetic people care a lot about the GI of food since they have to keep good control over their glucose levels. There are numerous benefits of Carrots in different parts of the body, and that is what we are going to explore further in this article. Carrots have all the vitamins and minerals that help hair growth and make them stronger and thicker as well. Having a moderate amount of carrots or carrot juice every day keeps your hair healthy. Vitamin C and Vitamin E improve the blood circulation in the scalp which prevents premature graying of hair. You can use carrots to make a face mask at home that when you use on your face, you get glowing skin due to the fact that carrots are rich in Vitamin C and Antioxidants. How to make Carrot Face Mask? Grind 2 teaspoons of grated carrots and make a smooth paste. Keep the paste in a bowl, and add 1 teaspoon of honey, 1 teaspoon of milk cream, and 4-5 drops of Olive oil. You are almost done. Now, just mix them well using a spoon, and your Face Mask is ready. First of all, clean your face using any cleanser. Then apply this mask evenly on your face. Keep it for 10-15 minutes. After that, clean your face with clean water. Drinking carrot juice regularly also helps getting rid of scars. If your skin has blemishes, you can rub the carrot pulps on your skin to clear them out. Vitamin C in Carrots promotes the production of Collagen in the body which is a kind of protein that maintains the elasticity of the skin. When there is enough Collagen production in the body, your skin is less likely to get wrinkles. It prevents the aging signs making you look younger. In winters dry skin is a big problem for many, and it happens due to weather and deficiency of potassium. 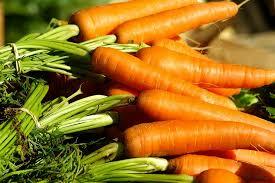 Carrots are enriched with potassium which prevents skin from being dried. Carrots have great healing qualities. You can apply the grated carrots on cuts and wounds to get them healed quickly. It also has inflammatory properties that maintain the skin tone. Carrots have beta-carotene which converts into Vitamin A which is very beneficial for eyes. In the Retina, Vitamin A converts into rhodopsin which is a purple colored pigment that is important for night vision. Thus, having more carrots improves your night vision. When someone has night vision issues, carrots may help them greatly. The Presence of Beta Carotene also protects your eyes from diseases like Glaucoma. The presence of Poly-acetylene antioxidant and Falcarinol in the carrots helps fight with cancer by destroying the pre-cancerous cells that develop in the tumors. It prevents Lung Cancer, Breast Cancer, and Colon Cancer. Since every one of us knows how dangerous the Cancer is, it is one of the best benefits of Carrots that it prevents it. Thus, we all should eat carrots consistently to avoid this deadly disease. Presence of Phytoestrogen relieves the pain during the menstrual cycle and also regulates bleeding in those women who have heavy flow during the cycle. Carrots help in proper development of the fetus, reducing the risk of miscarriage and fetal infection. Even after the delivery, it is useful as it helps production of quality milk in the breast that is good for the newborn. Carrots are the rich sources of fiber that helps in regulating the bowel movement that further improves digestion. So, having carrots regularly keeps your digestion good. And, when you have good digestion, your overall health will be good. There are minerals present in Carrots that kill the harmful germ plaque and food particlemouth/teeth and keep them healthy. Due to being rich in nutrients, Antioxidants and Vitamin A, Carrots improve the immunity if consumed regularly. We have listed the 10 main benefits, but there might be many more benefits of carrots. Carrots were first cultivated in Afghanistan around 900 AD. By 1000s it was spread in the neighboring areas due to its taste and numerous health benefits. Carrots are made up of 88% of water. 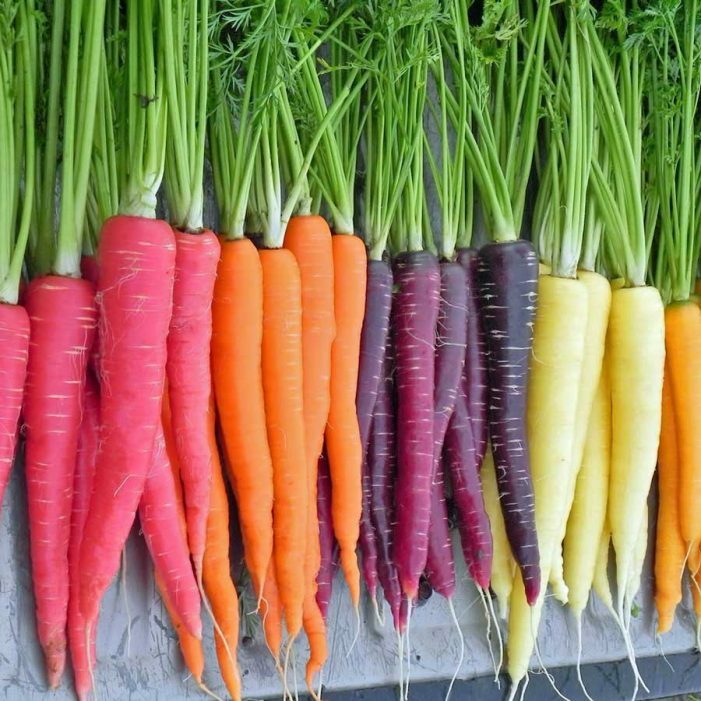 Carrots come in different colors such as Orange, Yellow, Dark Purple, and White. Despite having sugar in it, Carrots are beneficial for Diabetics. The World’s longest Carrot was measured to be 5.839 Meters. The heaviest carrot was grown in 1998 that weighed 8.61KG. Wild Rabbits do not eat wild carrots. Amount of Calcium in 1 Glass Milk = Amount of Calcium in 9 Carrots. Carrot is definitely a super-food that every one of us should intake regularly to get the benefits mentioned in this article. Carrot juice is quite popular and consumed globally. You can check out our list of Best Carrot Juicers in India so that you can buy the best juicer for your house and get fresh carrot juice every day at home. Oh my god , I love carrots. I eat like rabbits when it comes to carrots and reading loads of health benefits of carrots, it makes me kind of proud of myself. I am head over crazy heels on trying new face-masks, now I am gonna try this new face-mask suggested here. I am gonna continue eating my carrots. Carrots are like encyclopedia of nutrients. I am gonna show off my knowledge now. We are glad you liked the article. Thanks for stopping by.